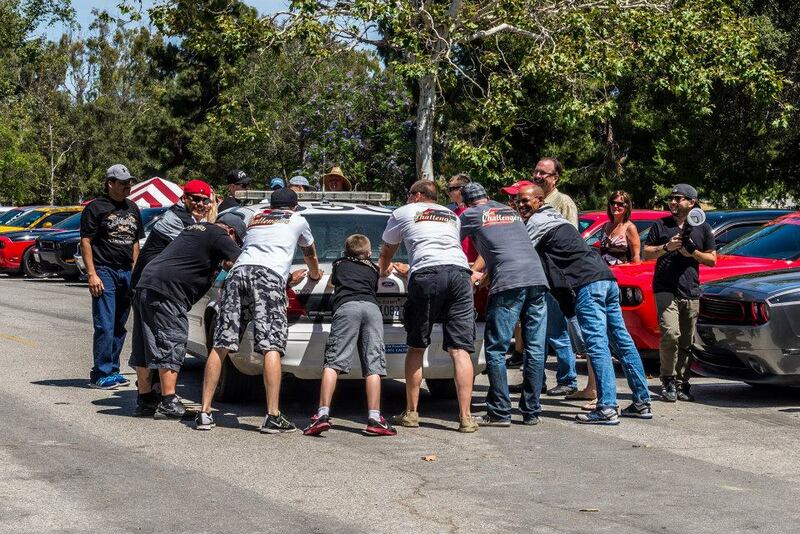 On Sunday August 10th 2014, SoCal Challengers attended the Wounded Warriors Car Show in Long Beach and rolled in deep with 28 cars! Great turnout for a great show. It was a smaller show but with very high quality cars. SoCal Challengers took in the deepest club award as well as a people's choice award for Nick! As usual a great time was had by all and we even welcomed a few new members! Let's keep it going and roll deep at every show! Don't forget that our online gear shop is now open. You do not need to be a member of SoCal Challengers to purchase most items. On August 2nd 2014, SoCal Challengers held a dinner at Tequila Jack's in Downtown Long Beach to recognize Israel Magana for his long time commitment to the club. Israel Magana is one of the reasons this club has thrived over the years. His commitment to the club has been second to none. If you know Israel, you know him to be the first person to get up and welcome you. Due to Israel's out going personality and his passion for being in SoCal Challengers, more times than not, he is the reason that a person has joined Socal Challengers. In recent events, Israel has had to sell his prized Challenger which was a surprise to most of us. Do you think this has kept him away from the club? No way! Israel still finds time to make it to most events and is in constant communication with all of us. This is exactly why over 35 people came to Israel's dinner, and why countless others sent messages of support, and thanks to, him. Thank you Israel for being a great friend to all of us, everyone in SoCal Challengers appreciates you and are thankful to call you our friend. SoCal Challengers attended Super Car Sunday on 7/27/2014 and enjoyed meeting our new family member, the new Dodge Challenger Hellcat. Ralph Giles and Fatchance (SoCalLX and organizer of Spring Fest) were in attendance and were nice enough to get in our group photo. Great morning with lots of nice rides and great people. 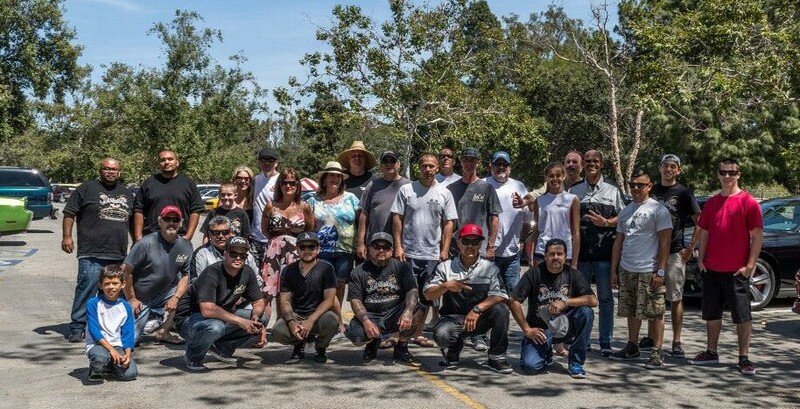 On July 13th 2014, SoCal Challengers participated in our Annual Big Bear cruise. With over 28 Challengers, this was our biggest turn out for a cruise to date. The day started out with everyone meeting at the bottom of the Mountain at the TJ Max parking lot in San Bernardino. From there we went up the mountain where we made a quick stop at Lake Arrowhead, where everyone got out to see the sights and then take a group picture. After the first stop, we headed to member Isreal Garrido's brothers cabin where we enjoyed pizza and watched the final of the World Cup soccer game. We would like to personally thank Isreal and his family for opening their cabin to us and welcoming us with open arms. I would like to also personally thank everyone who attend this cruise. Without each and every one of you this club would not be as successful as it is, and have that family type of atmosphere that we all come to love. Overall the 2014 Big Bear cruise was a huge success and tons of fun. We are half way through 2014 and we have many more events like this planned. It is a very exciting time to be a part of Socal Challengers and we would love for you to join us at an event if you are interested in joining an organization like Socal Challengers. We hope to cruise with you soon! 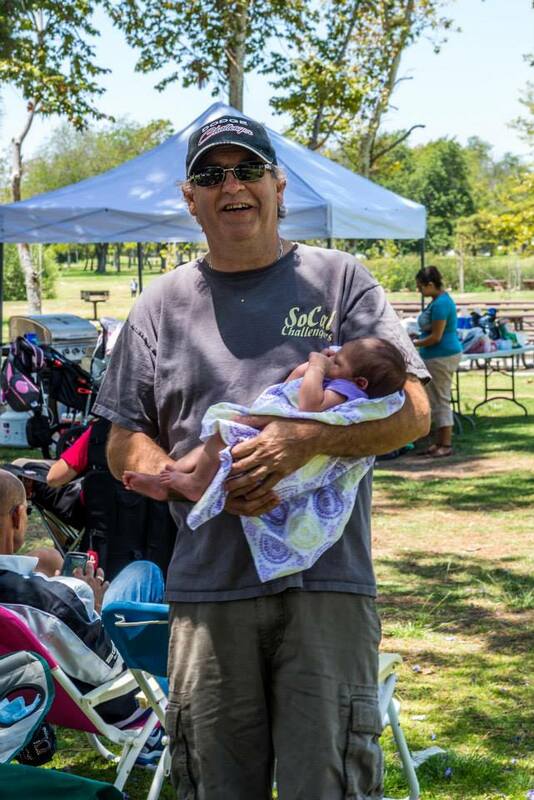 SoCal Challengers members had a great time at El Dorado Park in Long Beach at our yearly barbecue. The event was catered by member Tom Chalakee who along with his son-in-law provided tacos, burritos, rice, beans, fruit... to much to list. We all had a relaxing day in the perfect SoCal weather and even got to welcome some new members to the club. We had more than 35 people in attendance (young and older) and around 18 cars, even the local ranger came by to join us in the fun!